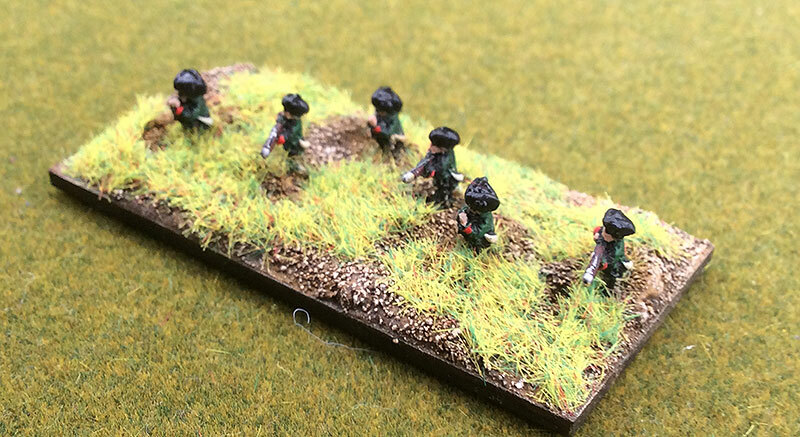 I've been working on forces for Guilford Courthouse in 6mm (Baccus Miniatures) for a few years now on and off - it kept stumbling because I have been unable to find a set of rules I was happy with that suited my basing. Black Powder just doesn't do it for me, and I've also tried Patriots and Loyalists, Volley and Bayonet, Principles of War and many others! I had pretty much settled on Principles of War until I picked up the new Polemos: RDG which I like very much. Now cards on the table here, we played the Franco Prussian version when it first came out and I really didn't like it...it felt, to me at least, as though there were some great mechanisms (I like tempo in particular) but it felt very clunky, and too much like hard work....however, I always felt there was a decent game waiting to get out...so step up RDG! 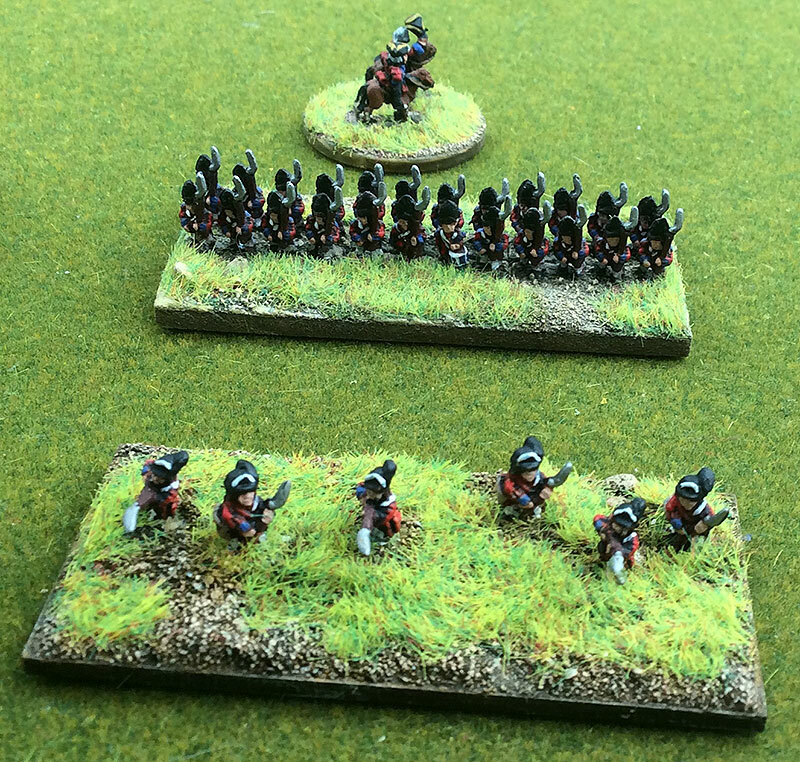 Anyhow, I have worked out my army lists at 1 Infantry Stand = 100 Men; 1 Cavalry Stand = 50 Men & 1 Artillery Stand = 2 Guns. Technically these should be wearing trousers, rather than kilts! 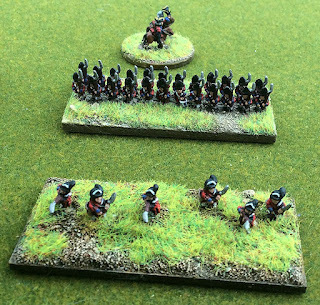 The Hessians tended to have a standard per company, hence the way I've done it...I need to replace the flags, as these are not correct....just filler until i found an accurate flag! The Guards did not carry standards in the colonies, so neither do mine! I chose 6 figures per base rather than 9, as I think of them as Light Cavalry, so prefer a bit more "space" on the bases.